The New York Rangers have had a season like no other in the team’s recent history. As a club that used to be a perennial Stanley Cup contender, the Rangers are used to getting good breaks and lucky rewards. That is seemingly the nature of the playoffs. One bounce here and one tip there, the team that takes advantage of the lucky breaks usually wins. But now the Rangers are experiencing the other side, the unlucky one. They’re a team that puts forth a plentiful amount of effort night in and night out, but they have little finish. 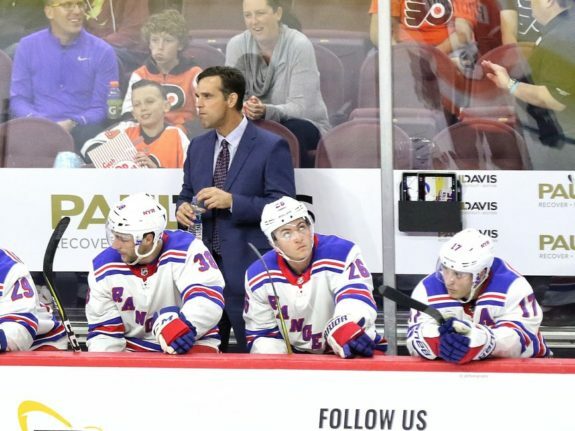 The Rangers have been experiencing bad breaks, poor officiating and inopportune situations. It is for this reason that the Rangers have a case to be named this season’s unluckiest team in the NHL. From injuries to penalties to shootout rules, the Rangers have found themselves on the wrong side of luck almost every time. But never has this sad truth been more evident than right now, just several weeks after general manager Jeff Gorton dealt some of his valuable trade assets. One example of the phenomenon I am describing happened just a few short weeks ago, against the Washington Capitals. After falling to Washington exactly one week earlier, the Rangers hosted them for a second straight Sunday matinee. The two battled hard the whole game and brought it to extra time for the second meeting in a row. But in contrast to the matchup one week prior, this one required a shootout. There have been some crazy things that have happened in shootouts in the past. Wacky shots, messy goals and cold-blooded snipes are all part of the spectacle. That said, this was a weird one. The Capitals sent up Alex Ovechkin to try to win the game against Rangers goaltender Alexandar Georgiev. As Ovechkin dekes in the slot, gearing up for a shot, Georgiev either throws or loses control of his stick and it slides right into Ovechkin’s, knocking the puck away. Some have stated that Georgiev threw the stick and that it was a poor decision by the young netminder, but it seems as though he was reaching for a simple poke check and let his stick slide out of his hand. Regardless, occurrence results in an awarded goal with no review required, according to the NHL rule book. With that ruling, the Capitals won, without ever actually scoring the winning goal. But if a game-clinching awarded goal in a shootout isn’t unlucky, injuries certainly are. Not just any injuries, though, injuries to prospects, the very players who need that ice time the most. First, Brett Howden went down with an injury. Howden, who started the season looking fantastic, cooled down significantly as his rookie campaign drew on. Unfortunately, he was never given the chance to heat back up after being sidelined with injury for weeks. Then came Libor Hajek. Seeing that one hurt a little more. 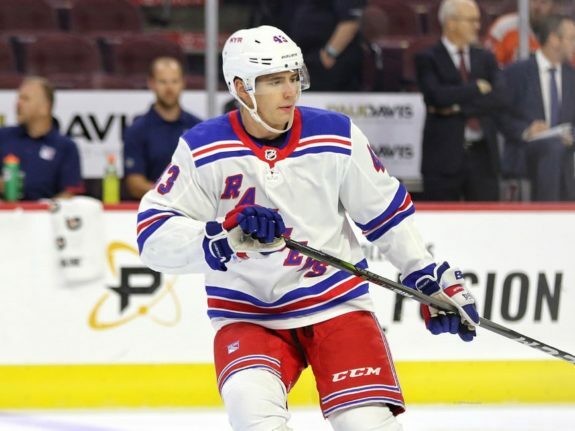 Hajek, who was acquired from the Tampa Bay Lightning just over a year ago, has been one of the Rangers’ more exciting prospects. 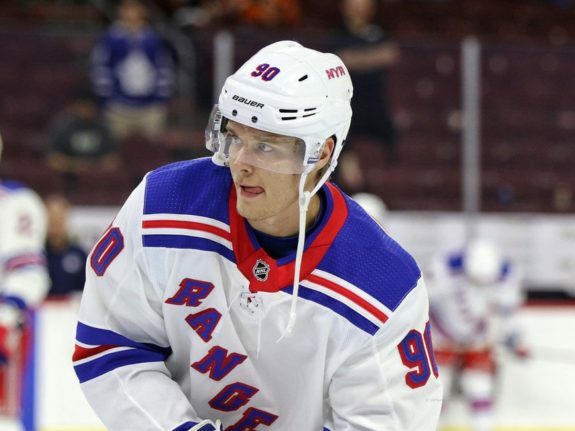 But despite this, he spent much of this season putting up extremely mediocre numbers for the Rangers’ AHL affiliate, the Hartford Wolf Pack. It is tough to truly examine a prospect, though, when he’s stuck playing for a minor league dumpster fire. Hajek finally got called up to play with the big boys and looked excellent. He skated well, made good puck decisions and scored his first career NHL goal. But as quickly as he arrived, he was gone. He got crunched into the boards and injured his shoulder. He is out for the rest of the season, after just five games. A golden opportunity to get a possible glimpse of the future cut short by an untimely injury. And then there are the penalties and the no-calls. The Rangers have been the victims of two game misconducts and bad officiating in just the past few games. In a meeting with the Dallas Stars a couple weeks ago, Mika Zibanejad went to the boards in pursuit of the puck. As he did so, he turned his hips so as to box out the opposing player he was approaching. Right as he did this, the Stars player dipped his head for some reason, allowing Zibanejad to incidentally make contact with his head and neck area. The player fell to the ice, but the replay showed that the hit was very slow paced and not at all aggressive. Nonetheless, Zibanejad received not just a penalty, but a five-minute major and a game misconduct. The call was so incorrect that the league even rescinded it the next day. But that didn’t help the Rangers, who then had to play shorthanded for five minutes while down a goal with 10 minutes remaining in the game. Then came the Rangers’ bout versus the Vancouver Canucks. Brendan Lemieux, the recently-acquired former Winnipeg Jet, was skating through the slot when he checked a Canucks player, making contact with his head. He remained down on the ice, clearly shaken and dazed, while Lemieux was handed down yet another five-minute major and game misconduct. But upon further review, the replay showed that the Canucks player lost his footing while approaching Lemieux and fell into him. It was as clear as can be. As Lemieux outstretched his arms for the check, the Vancouver forward slipped right into his hands, head first. Even just two nights ago the Rangers were struck with another occurrence of poor officiating. Facing off against the Minnesota Wild, the Rangers found themselves trailing for most of it. Down by a couple goals, they had the puck in the offensive zone trying to force pressure. Down by the corner boards, one of the Minnesota players attempted to flip the puck off the glass and out of the zone. Instead, he flipped it right into the stands. Rangers alternate captain Jesper Fast saw this and immediately argued with the referee, seemingly flabbergasted that there was no call. Call on the ice was a deflection and no penalty. Replay shows otherwise. Then you have the bad breaks. A notable example came a few weeks ago against the Lightning. The Rangers played excellent during that game, hanging with the league’s top team throughout and forcing extra time. In overtime, the Rangers were defending in their own zone as the Lightning crisscrossed, looking for an opportunity. Unfortunately, as that was happening, Vladislav Namestnikov got knocked down by a Lightning player. This left Victor Hedman, the player Namestnikov was supposed to be covering, with open ice in front of him. Hedman skated towards the slot and sniped home the game-winner for Tampa Bay. No penalty was committed on the play and Namestnikov had decent positioning. It was simply an unlucky collision of two players skating on the same trajectory, leaving the eventual goal scorer wide open. These are just recent examples, but this bad luck has been occurring all season long. The pucks just haven’t particularly swung the Rangers’ way. This may be a product of the Rangers’ rawness, given their age and status as a rebuilding franchise. All this is not to say that the Rangers would be a good team had their luck been better, but rather that it certainly hasn’t helped their case. As the season begins to wind down for New York, it is clear on this year’s St. Patrick’s Day that perhaps the Luck of the Irish decided not to visit the Big Apple this go around.